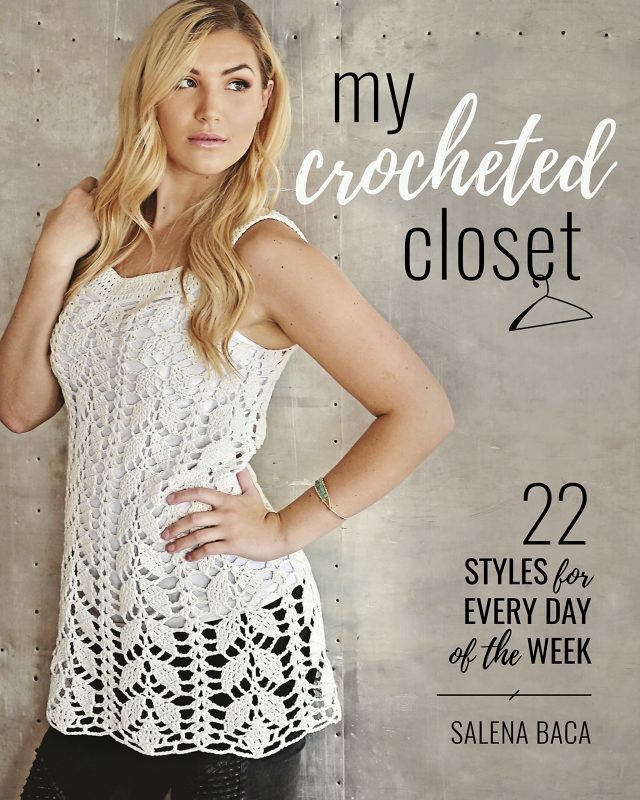 My Crocheted Closet: 22 Styles for Every Day of The Week is a collection of contemporary crochet clothing patterns suitable for different seasons. The collection is from Salena Baca but incorporates crochet patterns from many other designers as well. As Salena shares in the introduction, “they have taught me so very much about color, texture, material, style and fit as these elements relate to the perfect crochet garment.” You can see attention to each of these details across all of the crochet patterns in this collection. My Crocheted Closet begins with a thumbnail photo table of contents, allowing you to see right at the start what crochet patterns can be found in the book. You will notice at a glance that there is great variety in style. There are several different styles of crochet shirt patterns including tanks and tunics, as well as crochet patterns for a vest, skirt and even crochet shorts. There are also lots of crochet accessories patterns from jewelry to hats. One of the things that I really love about the crochet patterns in this book is that they don’t rely on color changes for design impact. Most of the crochet patterns are worked in a single solid color, which is a treat to see. I love working a project in a single color but almost all crochet pattern books have multi-color projects, in part because photos of them will pop off of the page. This collection doesn’t have to rely on any tricks to make items to stand out because each piece has been thoughtfully well-designed. 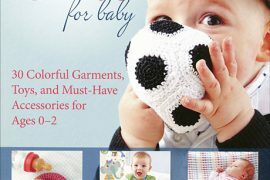 As with other crochet titles from Stackpole Books, My Crocheted Closet has covered everything that you need in each crochet pattern. There are high quality photos, detailed written instructions, and helpful tips for finishing an item. There are no symbol charts, though, so that’s something to be aware of if you prefer working form visual diagrams. In my experience working with this book, none of the patterns is so complex as to need extra visuals. 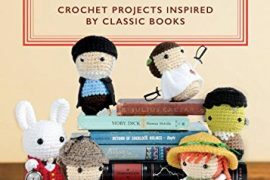 Each crochet pattern also shares a little bit of information about the designer so that you can get to know who made the items you like best and maybe seek out some of their other patterns as well. 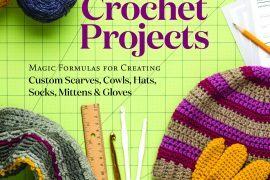 In addition to the basic stitches, the crochet patterns in this book use a variety of stitches including several variations on shell stitch, post stitches, hdc third loop, v-stitch and clusters. Additionally, there is the opportunity to practice new techniques including hairpin lace. Something else I love about this crochet book is the selection of yarns used for the projects. They are brands that should be easy to find but the designers have selected top choices among those brands. Yarn alternatives are provided so that you have options for each crochet pattern. For example, the Contemporary Crop Top designed by Abigail Haze uses Knit Picks Shine Sport, a pima cotton / Modal blend yarn, but there is a suggested alternative of Valley Yarns Southwick, which is a blend of pima cotton and bamboo. The Svelte Slouch Hat by Viktoria Gogolak calls for a superwash merino wall with a suggested alternative of a Peruvian Highland wool. All of the choices are great and the alternatives also give you some insight into good yarn substitutions for other projects.